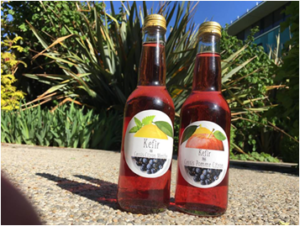 The second international blackcurrant products contest 2018 revealed an amazing range of new products. 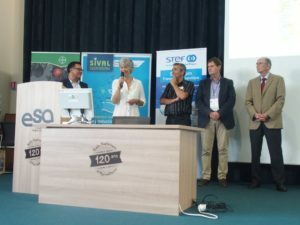 This could be possible thanks to the work of a group of students from the Higher School of Agriculture in Angers (ESA). Blackcurrant products contest 2018: the competition gets regular! Since 2016, the International Blackcurrant Association organizes a “blackcurrant contest” every two years. 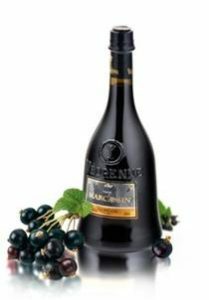 Any company manufacturing traditional or innovative products with blackcurrants can take part in these contests. They always take place during our international blackcurrant conferences. The participants can present as much products as they want in different categories. Angers 2018: New contest, new chances to win! 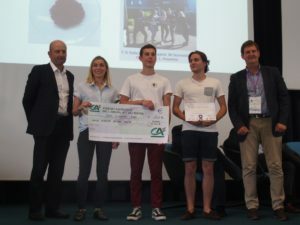 The second blackcurrant contest 2018 in Angers has put much focus on innovation. The organizers had therefore established a partnership with the local Higher School of Agriculture. 35 students have worked on the development of new blackcurrant products. They had therefore received basic ingredients from our partners. Then, out of these basics, they prepared an amazing range of 11 tasty and innovative products. These are now only waiting for commercialization by a big transforming company. Together with these products not yet available in the market, the panel tasted and tested a range of already existing products. “We were stunned by the creativity of the students”, said Florent Baillard, president of the judging panel. 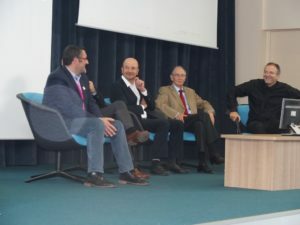 Together with Yves Gidoin from Vègèpolys, a competitiveness cluster of companies and research centers around innovative projects, Stéphane Monnier from Giffard, one of the leading liqueur manufacturers, and Ronan Symoneaux from the “Grappe”-lab of the Higher School of Agriculture (ESA Angers), they tested the products one day before the start of the conference. 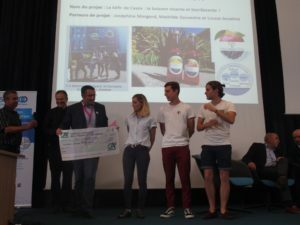 The contest had been coordinated by Driss Elothmani from the Higher School of Agriculture (ESA Angers). “They were not only innovative. They also managed to create products which a company could be put into the market immediately. The quality of their work was amazing. Finally, we could decide about the winners with difficulty only”, he said. Blackcurrant kefir, sparkling drinks, cocktails without alcohol, drinkable yogurts, biofilm to be used for makis, dehydrated buds and pastries astonished the panel. On the last day of the conference, they announced their decision. 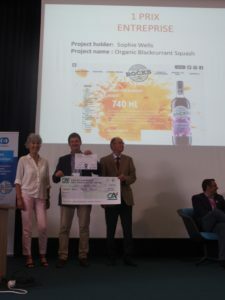 The kefir presented by Josèphine Morgand, Mathilde Souvestre and Louise Anselme won the first price in the category of drinks. 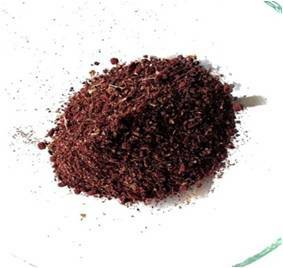 Guillaume Grousset and François-Xavier Sobczak won the price for other food products with their dehydrated blackcurrant buds. 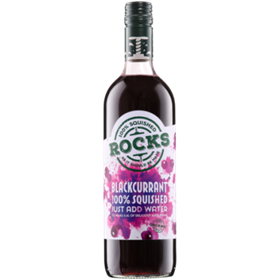 Out of the 7 company products (jams, liqueurs, beer, cordial, gin), the organic blackcurrant cordial from Rocks convinced the panel. It won the price of the category of company products. And last, but not least, we want to say THANK YOU VERY MUCH to the sponsors of the blackcurrant product contest 2018. The bank Crèdit Agricole and Giffard were generous and allowed us to reward our winners. the IBA thanks all those who made this contest possible. Maybe you, our reader, will have something to present at the next competition in 2020?